Last edited by Goat330; 01/02/19 09:41 PM. Summit racing electric fan G4904, 16"S-blade(16-3/4x16-1/4x4-1/4)2010cfm flow.Never used on my project,my loss is your gain,$110+S&H Bill at wmemore@aol.com or PM. Thanks for free ads Moparts! Last edited by fbs63; 01/15/19 02:46 PM. Used Fast EZ-EFI 2.0 system PN#30400 and Fast in tank fuel system. I bought this system from a friend who totaled his car and never used it. System was running when removed and has been sitting for 2 years. Fuel pump is the 255lph Walbro. $1200+shipping, PM me here if interested. Last edited by Azzkikrcuda; 01/01/19 02:32 PM. The only Carbs I care about are under the hood! For Sale – Port-A-Tree Pocket Pal Practice Tree with button. I bought this late this summer & played with it a little. It’s still in new condition. Works great. Health/Retirement sale. Asking $55 complete shipped in the lower 48 states. Last edited by HR3128; 01/01/19 04:50 PM. Set of 16 Smith Brothers 5/16 X .83 wall pushrods. Ball on both ends with no oiling holes. 9.390 Length. Used on a 440 with a Mech. Cam and Comp Pro Magnum Rockers Arms. Very little use, $170 New will sell for $100 shipped, PM me here if interested. New Clevite MS-1795 V series Main bearings for 440 in Std. size. Used for mock up, not ran. $75 shipped, PM me here if interested. Full tune specs Dyno and Flow Sheets to buyer. Engine Dyno'd with headers below. No expense spared on these heads have a ton of money into them. Entire Engine fresh Ready to run. Willing to ship or pick up in San Diego Ca. TTI W5 1 7/8" primary A body race headers with Performance welding slip on 3 1/2" merge collectors. Freshly coated. Collectors alone were $600 from Mark at performance. For sale is a new unused small block Mopar forged rotating assembly that will generate 430 cubic inches. The assembly is a BPE stroker kit which features a 4340 forged 4.125 stroke crankshaft with 273-318-340 main bearing size (2.5" journals) and small block Chevy 2.0 sixed rod journals, forged 4.070 bore RaceTec 17 cc dished pistons pins and locks, total seal rings, Callie’s Compstar 6.200 rods, Clevite main and rod bearings. Compression will be ~ 10.7:1 with the Eddy 63cc head chambers if your block is machined for 0 deck height and you use a 0.040 compressed head gasket. I can only post one picture so contact me for pictures of all the parts. Price is $2,350 plus actual shipping cost. Email me at procketrichard@hotmail.com with any questions or for more pictures. Last edited by Rocket; 01/01/19 08:01 PM. I have a new Mopar Performance 3.65” stroke forged crankshaft part # P4529713 for small blocks. It has an 8 bolt flange and is drilled for use with manual transmissions. This crank fits 273, 318 & 340 blocks as well as aftermarket blocks that use crankshafts with 2.5" main bearing journals. The rod journals are standard small block Mopar 2.125"
Price is $625 plus shipping. Email me at procketrichard@hotmail.com with any questions. For sale is a new Competition Cams solid roller camshaft. It features 440 lobe lift intake and exhaust (660 valve lift with 1.5 ratio rocker arms) Duration is 288 and 296 degrees at 0.050 tappet lift intake and exhaust. Lobe separation angle is 109 degrees. See picture of the cam card. The cam is sprayed with oil and wrapped up to keep it rust free. Ready to clean and install. The camshaft comes with the cam card for degreeing in the camshaft. Price is $300 shipped to lower 48 states. I will ship internationally for the additional cost. I have a nice small block stroker 340 main assembly consisting of a Mopar Performance 3.79 stroke forged crankshaft, new Wiseco 4.080 bore flat top pistons and 0.927 pins, new Childs & Albert Duramoly rings featuring gapless second ring and new K1 6.125” H beam rods. All parts are new except the crankshaft. The crankshaft is fresh from the machine shop. It was cleaned, magnifluxed, checked for straightness and the throws were indexed. Mains were ground 0.011 undersized and the rod throws are 2.100 (small block Chevy size). Pistons are 1.565 compression height. The pistons were assembled and placed in a block with a different rotating assembly in the past. I changed direction and disassembled the short block. Pistons show minor markings from the assembly and disassembly process on the skirts. Assembled, the pistons will be right around 9.585” for a zero deck height. Add bearings and balancing and it is ready to go. Price is $1,850 plus shipping to the lower 48 states. I can ship internationally. Last edited by Rocket; 01/01/19 08:20 PM. 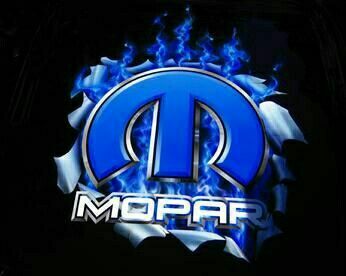 I have a new Mopar Performance 4340 Forged steel crankshaft with stock 6 bolt small block flange still in the box. Part number is P5007253AB. Fits 273-318-340 main engine blocks. I bought this for a project that I will not get to. It is standing in the corner and want to offer it to someone who can use this. It requires the use of a Chevy connecting rod - 2.100 in rod journal. In a 340 block with stock bore the engine will displace 367 ci and with a 0.030 overbored 340 block the displacement will be 373 ci. Here is the description from Mopar Performance. Surface hardened, forged Small Block Crankshafts feature radiused fillets at main and rod journals. Each features a 6-bolt flange and is forged from 4340 steel. 3.58" Stroke, 50 lbs., 2.100" Rod Journal, Generic Rear Flange, 340 Main. Price is $750 shipped in the lower 48 states. 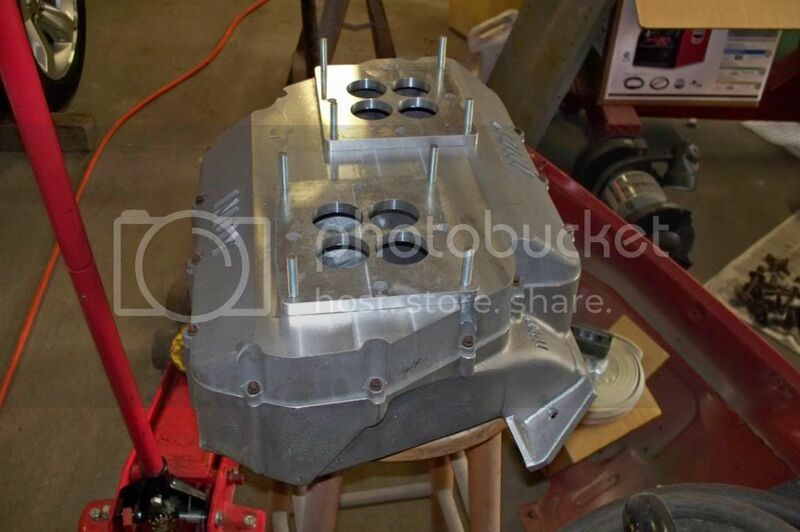 For sale is a used Hamburger rear sump oil pan for 360 small block engines. It is designed to fit in Dodge/Plymouth/Chrysler A Body cars (Dart, Duster, Demon, Scamp, Valiant, older Barracudas, …) . The pan has two built in crankshaft scrapers and a uni-directional screen to reduce windage and keep oil near the pickup and off the crankshaft. The sump also has a trap door to allow oil to flow into the sump and keep it there upon deceleration, turns and acceleration. Pan dimensions are 22 3/8” long x 10 ½ wide x 9” tall. The centerlink of the stock suspension passes through a built in tube in the pan. I purchased this new in the 1990’s and used it in my bracket racing 1970 Dodge Dart with stock from suspension. I removed it from the motor when I changed directions with the car. It was used for ~ 30 runs at the track. Pan has some minor scratches, dings and wear from being on the engine and on the shelf. Price is $540 shipped in the lower 48 states. I will ship it internationally for the additional cost. Last edited by Rocket; 01/01/19 08:36 PM. I have a new small block fluidampr that I purchased but will not be using. I purchased this a number of years ago and has been boxed and on the shelf. Price is $350 shipped to the lower 48 states. I will ship internationally for the additional cost. Last edited by Rocket; 01/01/19 10:55 PM. I have a set of new ductile iron main caps available for a 360 small block. These are Mopar Performance caps. The set includes all 5 main caps. The center 3 caps are 4 bolt main. These are the same caps that came standard on R3 4 bolt blocks. I have installed the same style caps on a 340 before by milling off the ends of the center caps to leave them 2 bolt. See pictures for the 3 modified center caps installed on a 340 stroker engine. These caps are more stout than the stock caps and are an excellent upgrade for any high performance build . A line bore will be needed when installing new caps as well as some machining for the thrust bearing and #5 cap for the oil seal. Price is $215 shipped per set in the lower 48 states. I will ship internationally for the additional cost. Email procketrichard@hotmail.com for more information. Last edited by Rocket; 01/02/19 01:20 AM. I have a Holley red pump that has not been used in a couple of years and just sitting on the shelf. I did test and pump seems to be running fine.